This is a slightly unusual sweet filling for a paratha, but quite tasty. 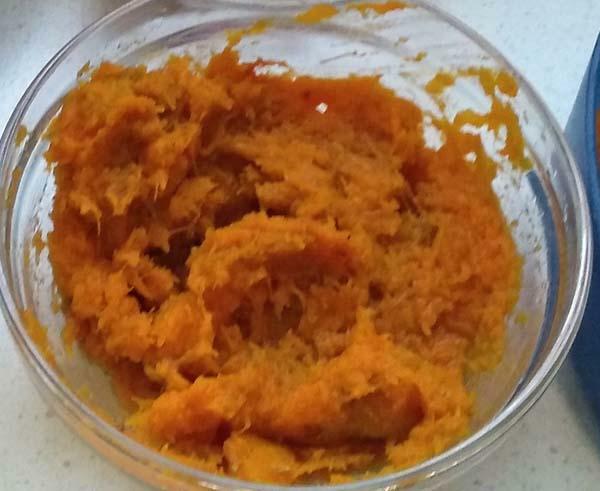 Both sweet potatoes and pumpkin are quite popular in India and cooked in various forms. Pumpkin flesh can be too moist, so you may need to dry off water by stir-frying it in a pan or wok. Here I have flavoured the parathas with ground green cardamoms, but you can omit this or use another flavour like cinnamon. 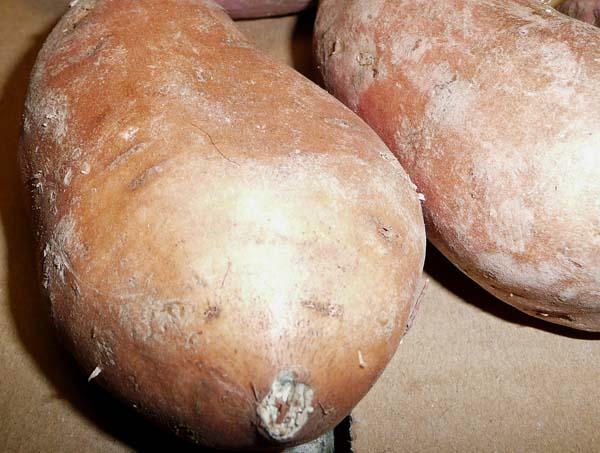 Sweet potatoes in UK are quite sweet, so no additional sugar is needed. But if yours are not, you can. You can lso make them with potatoes, just add caster/ground sugar/sweetner to taste to the mashed potatoes. Enough water to make a soft, pliable dough. Add a little more or a little less until you get a dough that you can roll out. 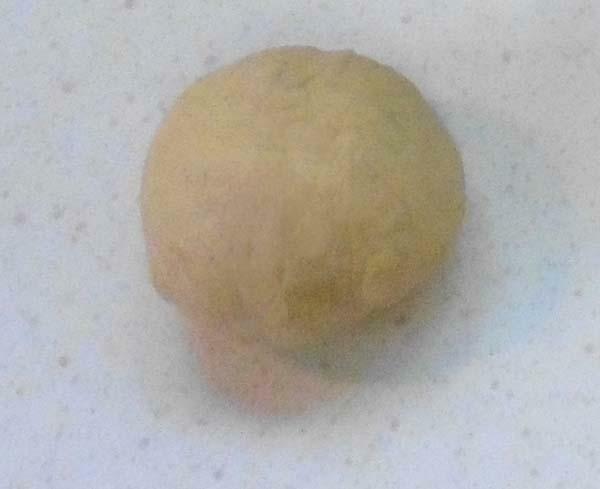 Place flour and oil/ghee in a bowl and add enough water to make pliable dough that you can easily roll out. 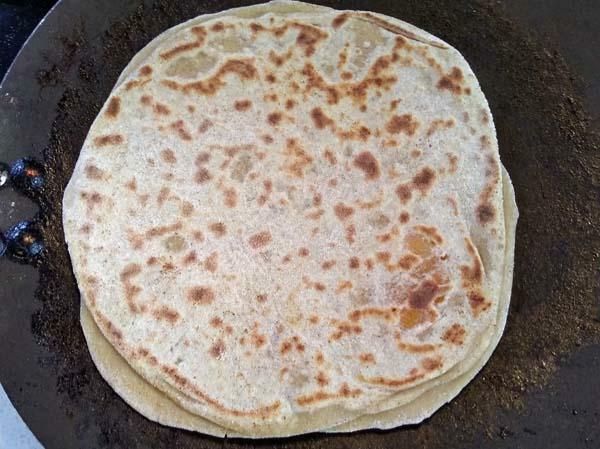 If you are new to making parathas, it is better to have slightly firmer dough, which is easier to control while rolling out. 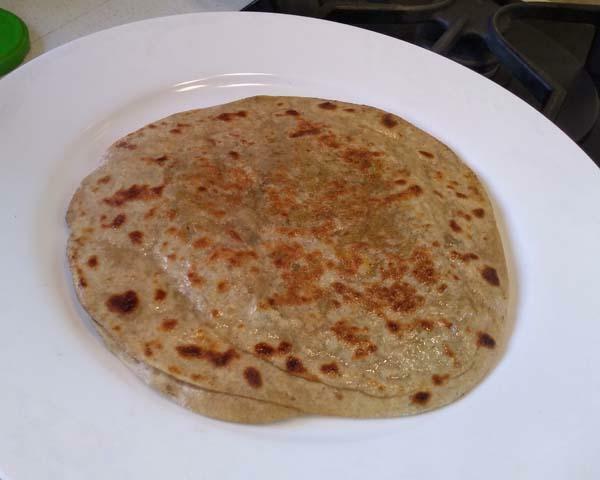 Experienced cooks prefer a little softer dough; softer the dough, softer the parathas. There is no need to knead it a lot, just bring the dough together. Leave to stand for 10 minutes or so. 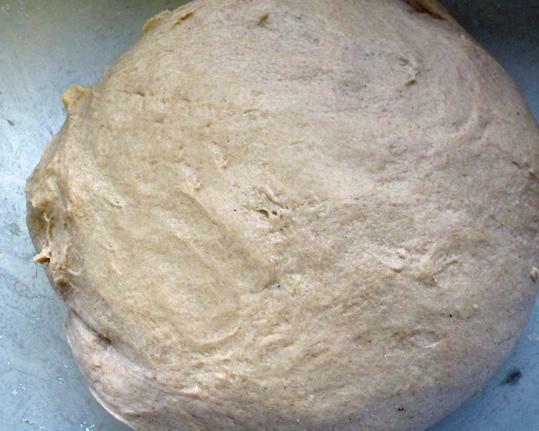 Knead briefly again, to make the dough smooth and pliable. Peel and prepare the flesh of sweet potato/squash/pumpkin. Discard seeds and fibrous inner bits of squash and pumpkin. Boil these in a microwave steamer for 6-7 minutes, until the flesh is soft enough to mash. More time may be required depending upon your microwave oven or the quality of the vegetable. If you don’t have a microwave, you can boil them, but make sure to drain all water off. Cool, peel and mash the flesh. Add green cardamom powder or cinnamon. Mix. Taste and add sugar, only if needed. I find pumpkins and sweet potatoes sweet enough. 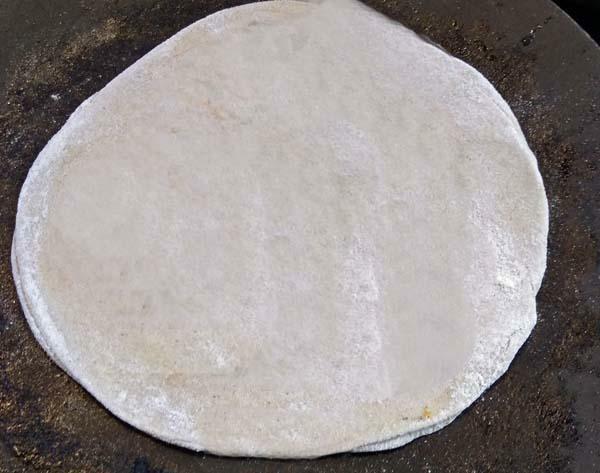 Break dough into approximately 8-10 portions. Break each of these portions again into 2 and roll into balls (20 balls). Each paratha will require 2 balls. Keep covered with a moist cloth. 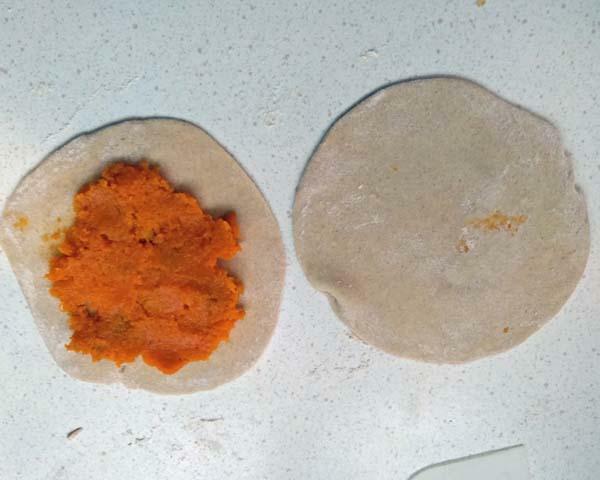 Once you learn to make them, you can make 2 balls for one paratha at a time as you go along. Roll out 2 balls, dusting with flour kept on the plate, to 8-10 cm. in size. 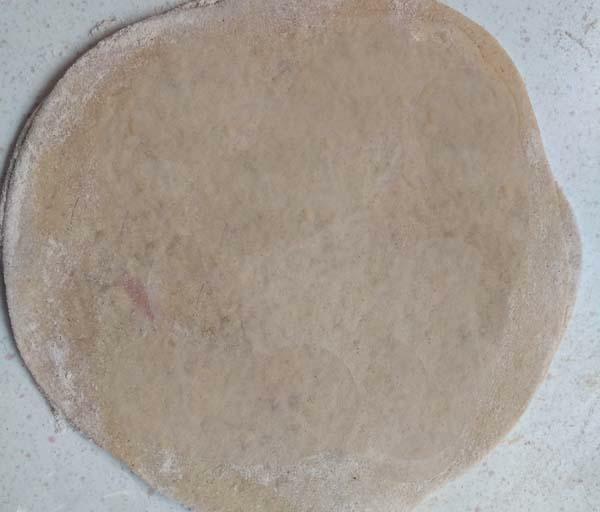 Take roughly 1/10th of the filling and spread it out in the centre of one circle. 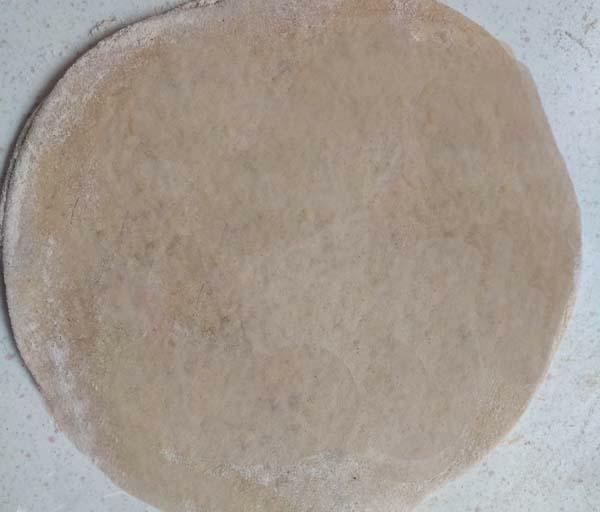 Cover with the second circle on top and gently press the edges to seal. 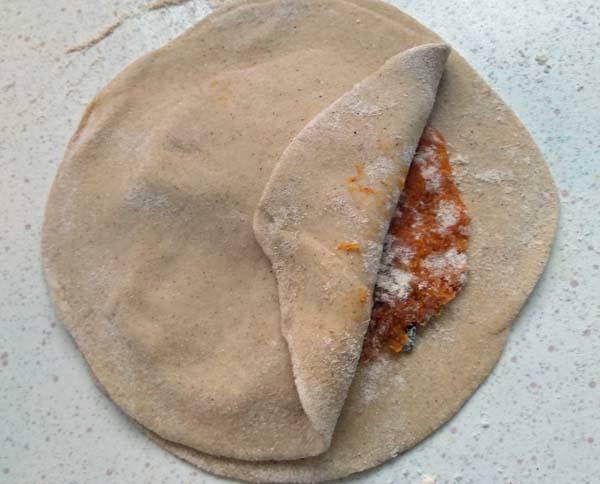 Now you have a stuffed double circle, with the filling between the two layers. Dust the stuffed circle with flour on both sides and roll out gently, to approximately 20 cm. in size. You may need to dust it with dry flour a couple of times during the rolling out process. If a little filling escapes, don't worry, just remove it. 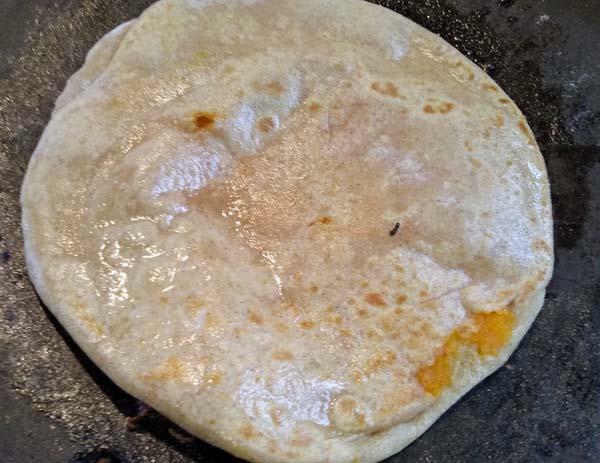 Place the paratha gently on the heated tava or griddle (medium hot, not smoking hot). Turn it over when it changes colour slightly, you can see a few blisters on the under surface. Cook the other side the same way. Turn it over again. Brush oil on both surfaces, using a long handled spoon or small ladle. Press gently all over, with the spoon/spatula. This helps to make the paratha crisp. Often it balloons up, which helps to cook it inside better. Cook until nicely browned and crisp on both sides. 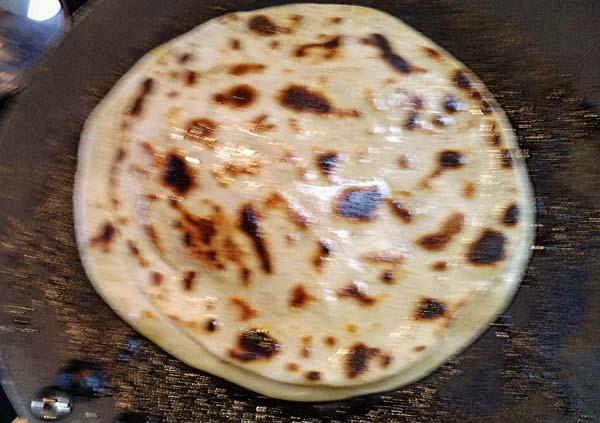 It is important that you crisp the paratha on medium heat and not cook it too fast. Serve hot with a knob of butter and a cup of steaming hot tea. Indian Tea goes well with these parathas.